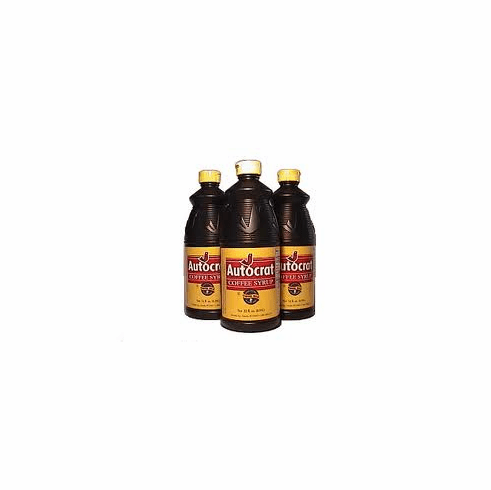 Autocrat coffee syrup is the original coffee syrup. Made in Lincoln, RI, Autocrat is not available in most other parts of the country. In fact, most parts of the country have never even heard of coffee syrup! Slightly sweeter than its Eclipse counterpart, Autocrat is a truly unique Rhode Island taste. You get two 32oz bottles per order, which is 2 quarts, (also equals 4 pints or half a gallon!) That's a lot of coffee milk!! Drink up!